Ever since the FCC voted to repeal net neutrality last December, we’ve seen the protections for a free and open internet declared dead more than once. On Monday, the rules “officially” come off the books. The reality is net neutrality is on life support and there’s still reason to believe it will return. But most Americans aren’t buying Pai’s baseless claims that net neutrality rules stifled investment in broadband networks. One study in April found that 86 percent of respondents in the U.S. opposed repealing the regulations that prevent telecom pseudo-monopolies from creating internet fast lanes and selectively throttling traffic to certain websites. And there’s still a strong legal effort to preserve the rules that will ensure equal treatment across the web. A lawsuit filed by 23 state attorneys general to block the net neutrality repeal is still pending. We’ve also seen 100 US mayors pledge to refuse to do business with any internet service providers who violate net neutrality protections and states are working to create their own laws that could have national ripple effects. California inched closer to passing its own net neutrality laws last week, and New York is working on similar legislation. Just getting those two enormous states on board would create a significant amount of pressure for ISPs to apply the rules in all states, but such legislation would likely face legal challenges from the telecoms. At the federal level, the Senate voted to save the Title II protections in May using the Congressional Review Act that allows the legislative branch to override rule-making decisions by federal agencies. It was an encouraging moment because more Republicans voted with Democrats than was originally expected. But for the CRA procedure to fully succeed, it still needs to pass the House, and Democrats will have to convince more than 20 Republicans to join them in a vote. We have what’s set to be a competitive race in the mid-terms this November, and Democrats are determined to make this an election issue, so it’s still possible we could see Republicans cross the aisle. Internet activists are making it as simple as possible for you to contact your representatives to let them know how you feel. 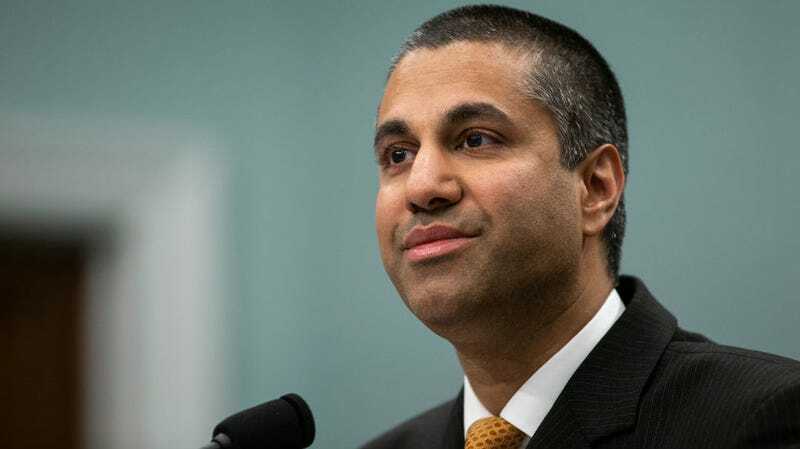 In a statement sent to Gizmodo, Democratic FCC Commissioner Jessica Rosenworcel wrote, “Plain and simple, thanks to the FCC’s rollback of net neutrality, internet providers have the legal green light, the technical ability, and business incentive to discriminate and manipulate what we see, read, and learn online.” But she said the multi-faceted legal momentum around the country shows the fight is far from over. “We won’t stop today. It’s too important and our future depends on it,” she wrote. We may see net neutrality “die” another death or two in the coming months, but we’re looking at a long time to come before you can bury it and call it a day.